Mobile phones which was a luxury then and is a necessity now has created a revolution over the years.One can’t imagine life without a mobile phone as it has become a integral part of one’s identity.In 1990, cell phone subscribers were 12.5 million viz about 0.25% of world’s population then. In 2002, it grew to 1.2 billion(19% of world’s population) and in 2010 it grew leaps and bounds to 4 billion(about 67% of world’s population).With this whopping growth,mobile technology has disrupted every other industry one can ever imagine changing the way people interact and the way they use it’s different services.Interestingly,it’s true potential is yet to be understood. With mobile revolution,came the internet revolution which is adding around 6 million new entrants every month.The estimated user base was 243 million as of January 2014 with internet usage growth at it’s inflection point.This has led to a boom in e-commerce industry which had a growth of 231% for a span of mere 4 years, estimated to be around 12.6 billion dollars in 2013. Electronics and Apparels are the biggest categories when one goes for online shopping. 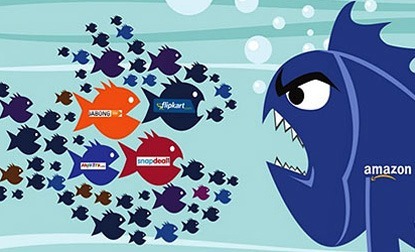 In India, Flipkart has always been a industry leader ever since its inception in 2007 especially in electronics segment. On the other hand,another Bangalore based company-Myntra.com which also started it’s operations in 2007 provided on demand personalisation of gift items,has evolved into a leading fashion and apparel based e-portal. 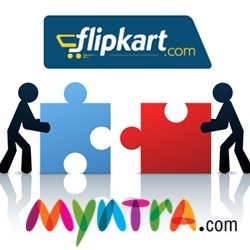 Flipkart acquiring Myntra(biggest deal in the e-commerce industry) has made it a much bigger entity to take on the likes of Softbank backed SnapDeal which is growing at a alarming rate and Amazon which is the big fish among e-tailers expanding it’s footprints in India. From 15th May,2015 Myntra announced that it will shut down its website and will operate only through it’s mobile app which is a global ecommerce first. Flipkart, the parent company will also follow the suit in a year or so, given that its much more complex to switch only to mobile apps altogether as it operates in various segments and categories unlike Myntra which caters to mainly fashion. On the other hand, its competitors like Jabong, SnapDeal and Amazon think otherwise and are of the opinion that it is incorrect to force a customer to do only mobile shopping.Even though mobile shopping is growing at an accelerating rate, the choice should lie with the customer. 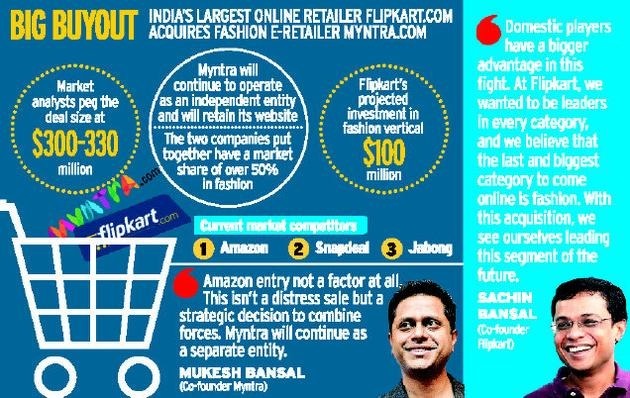 Nevertheless, its a bold move which will have massive implications on how shopping will be done in the future and Flipkart-Myntra want to lead the pack instead of following other retailers even though it may seem as a risky proposition now.However this decision is not taken at a haste and done with lot of pondering and detailed analysis. Mobile accounts for 70% of Myntra’s revenues, with 9 million active mobile app users. It expects another 5 million mobile app subscribers to join the bandwagon in few months. India, the market which it operates is a mobile first country because of the total time Indians spent on Internet, 90% is through mobile phones. Interestingly, over 50% mobile traffic is coming from Tier 2 and Tier 3 cities which has great prospects in near future and will drive their business big time. Myntra plans to hire lot of people especially from Silicon valley to live up to its vision by investing heavily in lot of innovative technologies in providing highly personalized shopping through the device which is very personal to them-their mobile phone. As Myntra will start their business only through one channel i.e.mobiles,a lot of emphasis will be on the development of the app with never seen before features making it more engaging which will only benefit the customer and make his/her choices much simpler.Content shopping with lot of multimedia that resonates with the customer will drive their business to new levels.With advancement in social media analytics, it will provide you more personalized recommendations based on your choices and liking.You will be greeted by the application with listings only you want to see and eventually shop. Also to engage the customer more and take customer relationship to a whole new level, it may provide personalized discounts and deals more regularly than we see today. Mukesh Bansal, Myntra CEO feels that smart phones are going to drive online shopping in the future. He says that the company will now put all its efforts to leverage its mobile shopping experience. “Fashion is a very personal experience. We believe that only mobile can truly deliver this experience as it captures user’s lifestyle and context in manner that no other medium does. Think of all the hardware and software features that one can leverage like camera, contact, location etc. to understand the user’s context and deliver the experience that is deeply personalized,” he said. Hope Myntra, a Indian brand leads the way spreading (h)App-iness and all the other global big players follow suit as it will be App-etizing to say the least. P.S: Are you still thinking of downloading the app when u know that it’s gonna be the next big thing in online shopping in India?? I hope, the message is loud and clear. This post is written for Myntra App Contest,one of the campaigns from BlogMint.